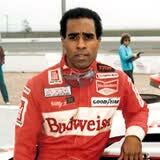 January 3rd in African American History - William "Willy" Theodore Ribbs, Jr.
January 3rd in African American History – William “Willy” Theodore Ribbs, Jr.
January 3, 1955 William “Willy” Theodore Ribbs, Jr., former race car driver, was born in San Jose, California. Following his graduation from high school in 1975, Ribbs moved to Europe to compete in the Formula Ford Series. He won the Dunlop Championship in his first year of competition and then returned to the United States. n 1983, Ribbs won five races in the Sports Car Club of America Trans-Am Series and was named Pro Rookie of the Year. In 1986, he became the first black person to drive a Formula One car. In 1990, Ribbs joined the Championship Auto Racing Team circuit in a car partially funded by Bill Cosby. He had two top-ten finishes that season and the next year became the first African American to qualify for the Indianapolis 500. Ribbs retired from racing in 1999 and is currently a competitive sports shooter in the National Sporting Clays Association.